Free or paid, just about every VPN will mask your online movements, but some offer better protection than others. What’s more, depending on which country your VPN is based in, that provider may be subject to less-than-stellar privacy laws, allowing government agencies to wrangle your data if they so wish. 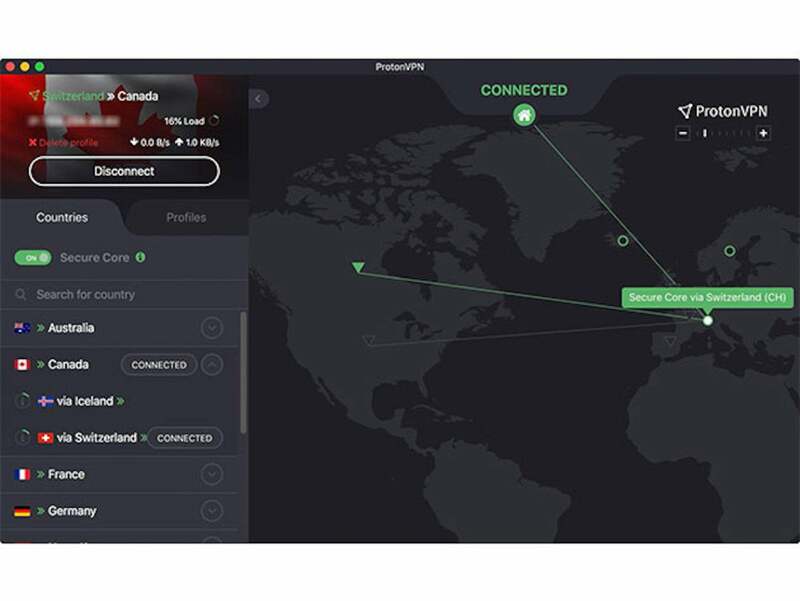 The best VPN is one that covers you with top-tier technology and isn’t likely to be bossed around by its country’s government—one like ProtonVPN. You can find ProtonVPN Plus subscriptions here starting at $59.99. It’s far from free, but you can’t place a monetary value on absolute privacy. To ensure your data is safe, ProtonVPN secures your internet connection with AES-256 encryption. Additionally, ProtonVPN uses Forward Secrecy, which generates a new encryption key with each new connection. This prevents your data from being decrypted if it’s captured and one of the encryption keys is compromised. Finally, ProtonVPN exclusively uses OpenVPN, whereas free and cheaper VPN services may use PPTP, L2TP, or IPSec, which are less secure VPN protocols. Unfortunately, strong encryption and Forward Secrecy alone can’t keep you safe from the powers that be. To circumvent this, ProtonVPN uses what is known as Secure Core, which protects its users from network attacks that many free and less secure VPNs won’t defend against. VPNs operating in countries with either restrictive Internet regulations or strong surveillance can be coerced into surrendering your information (more on that later). ProtonVPN bypasses this by routing all of your data through its Secure Core servers before it is sent to other servers, preventing your data from being monitored. ProtonVPN is headquartered in Switzerland and comes under the purview of Swiss laws. Switzerland is known for having some of the world’s strongest privacy laws; what this means for subscribers is that ProtonVPN won’t likely be coerced into sharing your data with intelligence agencies. Meanwhile, countries such as the US, members of the EU, and more fall under the “Fourteen Eyes” agreement. Members of this agreement actively spy on each other’s citizens and share information with one another. If Swiss privacy laws aren’t enough to convince you that ProtonVPN is extremely secure, then perhaps its physical security will. ProtonVPN hides its critical infrastructure in heavily fortified sanctuaries. For example, its Swiss infrastructure is hidden in a former army fallout shelter 1000 meters below the surface, while its Iceland infrastructure is guarded in a former military base. Not only is your data safe digitally, but it’s highly unlikely to be accessed physically as well. A single year of ProtonVPN has an MSRP of $120, but this deal cuts the price down to $59.99, or 50% off. If you want to protect your device for longer, 2-year subscriptions are available for only $20 more; that’s less than the price of a single year at retail.